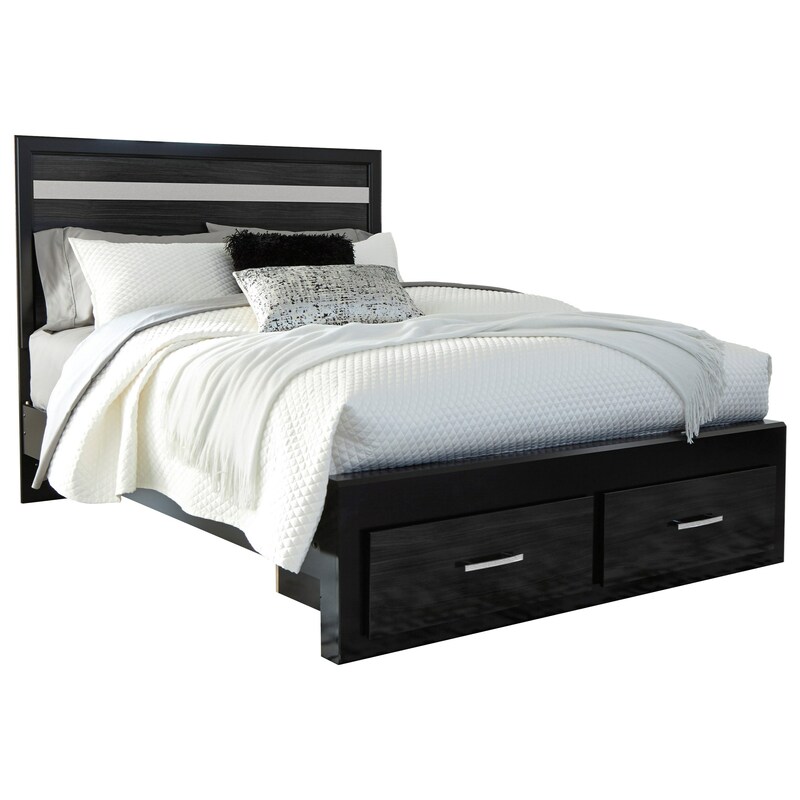 High gloss black finish offers a subtle contrast to replicated walnut grain panels on the headboard and drawers of this storage bed. The silver glitter accent panel on the headboard and faux crystals of the drawer pulls make a glam style statement. The Starberry Black Finish Glam Queen Storage Bed with 2 Drawers & Glitter Accent Panel by Signature Design by Ashley at Simply Home by Lindy's in the Hickory, Morganton, Lenoir area. Product availability may vary. Contact us for the most current availability on this product. B304-57 Queen/Full Panel Headboard 1 64.02" 2.01" 53.07"
B304-54S Queen Storage Footboard 1 62.52" 15.24" 16.77"
B304-95 Queen/King Platform Rails 1 62.01" 84.02" 14.29"
The Starberry collection is a great option if you are looking for Glam Contemporary furniture in the Hickory, Morganton, Lenoir area. Browse other items in the Starberry collection from Simply Home by Lindy's in the Hickory, Morganton, Lenoir area.